INVEST IN YOUR BIGGEST ASSET: YOU! Make an ACTIONABLE plan to implement so that 2020 is your best year yet! Running an event business is TOUGH and often times we are so busy taking care of clients and staying afloat, it seems we never have time to focus on our own BUSINESS DEVELOPMENT. But if you don’t MAKE the time, it will never come to you. So that’s why this fall we’re putting aside an ENTIRE DAY to uplevel your business! We’re kicking off the day right at 9:30am so please arrive a bit early to check in, get settled and get the best seats in the room! In this quick welcome, we’ll go over the plan for the day and set the stage for a successful time together. Client work is the bread and butter of our businesses, but it can also be a very turbulent way to make a living. In this session, we’re going to talk about the IGNITE Mentality of a more well-rounded and risk-proof business model. Take a moment and talk about what we’ve learned and how it may apply to your business. How are you different from the competition? What is it about your unique skills and experience that set you apart from others? In this session, we’re going to explore that and start to see how defining this will pull you away from the pack and give you something unique and special to offer the world. Having a professional intake and working system is a HUGE key to being respected and getting paid what you should so we’ll talk about how to professionalize your work so you can charge more and be more respected. Grab a bite and take a quick mental break. Lunch will be provided. This interactive session will look at how to price our service and win proposals. And – we’ll share collective experiences about what has worked and what has been a challenge for us so we can learn from each other’s mistakes. Standing out in the crowded events industry is a a tough job so in this session we’re going to talk about how to brand your business as uniquely YOURS and how to market that business to the right target audience. Creating photo and video content is one way to leave a mark that will last forever. In this session, we’ll hear from an expert on how to use video to brand yourself, offer value and grow your worth! We’ll break into groups of 4-5 and each attendee will have 3 minutes to share their biggest business challenge. Other members then have 7 minutes to share their best tips and ideas to help you solve your problem. We’ll close out the day with some specific takeways and next steps! 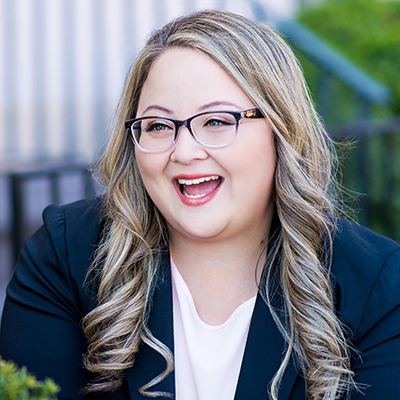 I’m Liz King Caruso and I’m on a mission to help more event businesses find lasting success as thought leaders so you can spend more time winning the right business and less time hustling after the wrong clients. When I started my business, I spent WAY too much time writing proposals I didn’t win, and getting underpaid for the good work I was doing. By the end of each event, I felt overworked, undervalued and taken advantage of. But the thing I learned is that my clients will never value me more than I value myself. And if my messaging doesn’t reflect my unique skills and passions I bring to the table, I’ll spend all my time selling clients who were not destined for me (and that’s when selling REALLY feels like work). Since I’ve tapped into my unique offering, I’ve worked with amaaazing clients like Microsoft, Ramit Sethi from I Will Teach You To Be Rich, SeatGeek on their OnDeck Sports and Technology Conference, Claudia Chan and her S.H.E. Summit Week, and many more. We’ve done events at the United Nations building, with Kelly Clarkson and Michael Strahan in attendance, and executed events from small to large. I also started my own brand – techsytalk. As much as I love working for the clients we have, I knew starting my own brand around event tech would give me the best platform to grow my thought leadership and make a big impact. In the past 8 years, I’ve built an audience of 35,000+ event professionals around the world and been able to speak nationally, host our own annual conference, run a podcast and make more reliable revenue. I knew to create a sustainable business, I had to establish myself as a thought leader. I built my brand around my niche – event technology – and I now bring in multiple streams of revenue by planning client events, but also through speaking, consulting and hosting our very own event, techsytalk LIVE. And – best of all – doing all of this helps me land the best clients for me and get paid what I deserve. Now, I bring together my personal experience paired with curated resources that have helped me think about my business in a unique and powerful way.